Years back, coffee was just something to drink so I could keep on driving. A bitter liquid to keep me awake. I tried to understand coffee by purchasing different kinds from Peets, but they all were roasted dark and all tasted similar. I decided to take a class on coffee tasting, with an awareness that there must be something better out there. We started the class by cupping some of the best coffees from around the globe. I thought "Wow, they are sweet and not bitter, and you don't even have to put half and half in them to make them taste good." So a fascination was released. 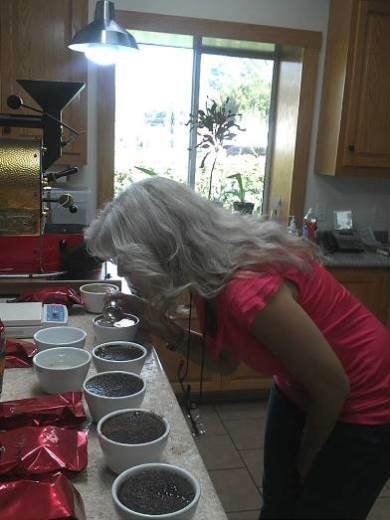 I bought a sample roaster and began to roast and cup several times a week. 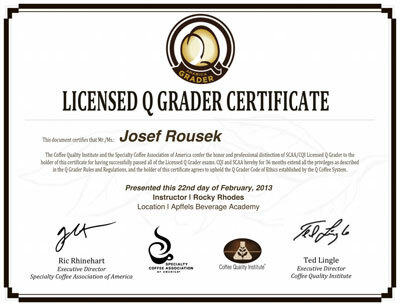 As I developed my palate I developed a passion for finding the best coffees in the world. A paradigm shift was brewing for me, and a door opened into the reality of world class coffee with intense fragrance, aroma and taste. I realized I could no longer go back to dark roast, commercial grade, machine harvested Brazilian coffee. And why would I want to? Why not drink the best? It really doesn't cost that much more to drink clean, bright, complex coffees, and it's such a wonderful life-enriching experience. I believe we must follow our passions or life becomes a predictable routine program, slipping quickly away day by day. Come on, let's brew the best and enjoy the best! Today if the sky is not blue tomorrow it will be. Seek God and his goodness. Come up higher, out of the muck and mire, and put your feet on a rock... the rock of this full and enjoyable life. Mt. 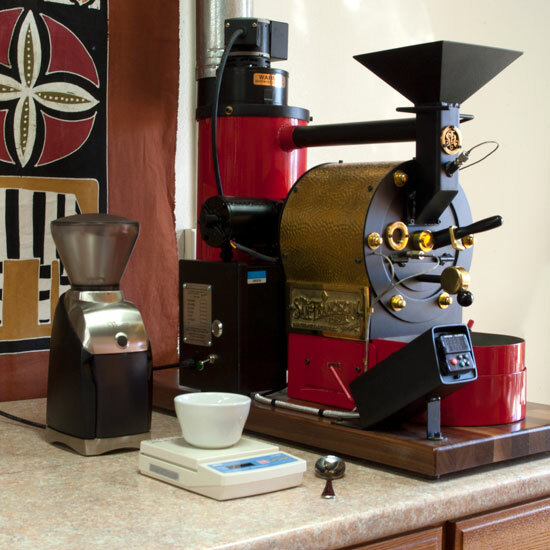 Whitney Coffee Roasters is a not-for-profit subsidiary of Father's Heart International, a non-profit 501 (c) 3 of the International Revenue Service of the United States. Coffee is not our only passion. We are also passionate for the forgotten children of Africa. After expenses, all profits from the sale of our coffee will be donated to Father's Heart International. Father's Heart builds schools in Zambia and educates children that have no hope of attending school. Due to starvation, they have a feeding program at each school to give the children a chance at life. Give a child hope by buying your coffee from Mt. Whitney Coffee. Because we are committed to selling superior coffee we have a tradition of cupping coffee the day after we roast. We taste, we discuss, we compare, and we continually refine the roast profile to provide high quality coffee our customers expect.